Типичный извержения стиль: Moderately explosive. Construction of cinder cones and lava domes. Fumarolic activity at present. 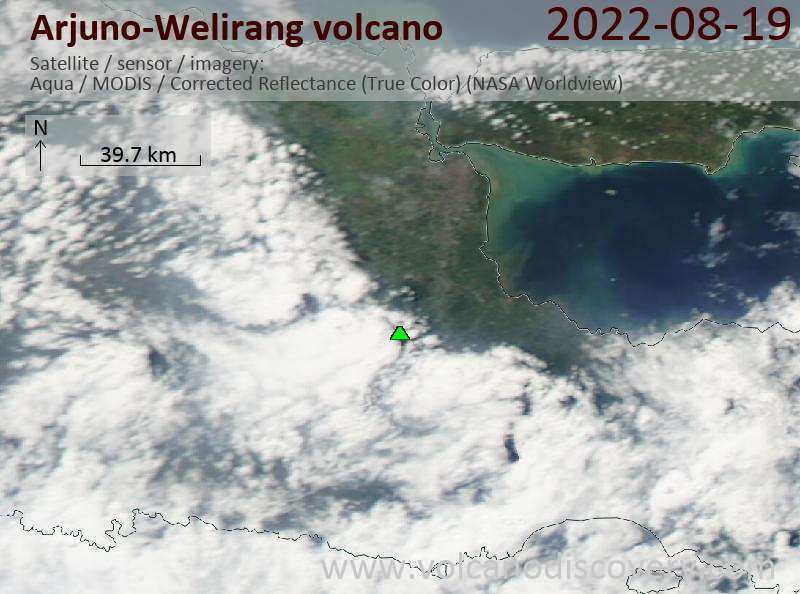 The twin volcanoes of Arjuno and Welirang anchor the SE and NW ends, respectively, of a 6-km-long line of volcanic cones and craters. The Arjuno-Welirang complex overlies two older volcanoes, Gunung Ringgit to the east and Gunung Linting to the south. The summit areas of both Arjuno and Welirang volcanoes are unvegetated. 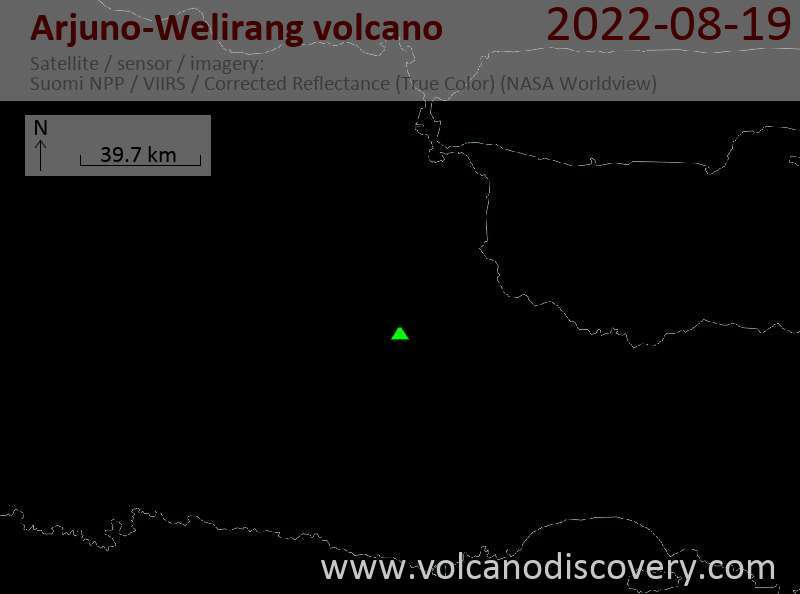 Additional pyroclastic cones are located on the north flank of Gunung Welirang and along an E-W-trending line cutting across the southern side of Gunung Arjuno that extends to the lower SE flank. Fumarolic areas with sulfur deposition occur at several locations on Gunung Welirang.